Barcelona is very well known for its nightlife and parties. It is one of Europe’s most vibrant cities due to the amount of tourists that visit Barcelona every year. Some come for its amazing architecture and culture, others are drawn to Barcelona’s beaches and shopping, and many come to dance the night away in the vibrant Barcelona nightclubs that remain open until 6am. Barcelona’s Port Olympic has plenty of beach clubs which offer everything you need for a memorable evening meal and/or partying into the small hours. These beach clubs in Barcelona have amazing views to the coast. The most popular beach club in Barcelona is Opium Barcelona, which has the biggest seafront terrace in Port Olympic. 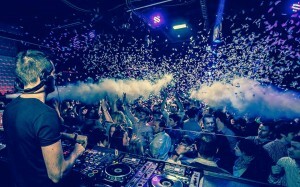 It has welcomed many internationally renowned superstar DJs such as Tiësto, Avicii, Steve Aoki, and countless others. Opium Barcelona also hosts one of Barcelona’s biggest electronic music events, the WEDJ’s Festival which takes place every Wednesday from mid-late June to mid-late September. Opium Barcelona residents DJ Frank Caro and Danny Cardenas warm up the crowd with the freshest electronic dance music before handing over to top international DJs for an exclusive session. Carpe Diem Lounge Club (CDLC) and Shôko Barcelona are also two of the best venues for a great night out on Barcelona’s seafront with views of the Mediterranean. 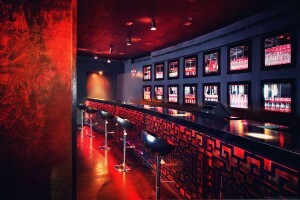 Inspired byFeng Shui concepts, Shôko is famous for its theme nights and original parties. It is also the official venue in Barcelona for celebrating after parties for concerts like Madonna, Coldplay, Lady Gaga, and many more. CDLC’s interior design is inspired by a Moroccan sensual style with private lounge beds. Both of these Barcelona beach clubs and restaurants are especially known for the exclusive fusion cuisine they offer. You can enjoy an exquisite dinner and stay for drinks and dancing later on. If hip-hop and R&B is what you are looking for, Barcelona’s Port Olympic clubbing selection also includes your best option in town: Catwalk. 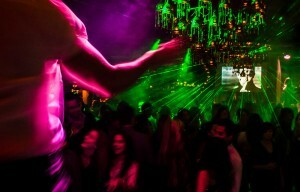 Located just a minute’s walk from the rest of the clubs, Catwalk has two different ambiences spread across two floors. Dance the night away with the best commercial house hits in the main room downstairs, and get down to the finest hip-hop and R&B in the upstairs space. If you want to get the feel of Ibiza whilst in Barcelona, make your way to Pacha Club Barcelona. One of the famous clubs on the beach front and open every day of the year, the club hosts many different themed parties throughout the week. The music varies from Techno, Hip Hop, EDM and much more. All the most famous DJ’s and Artists have played at this famous beach club, recently this year recently the likes of Rick Ross, Otto Knows, Kevin Gates, Hot Since 82, Richy Ahmed, Dubfire and many many more have played. For more information on who’s playing soon, you can check the schedule here. Last but not least you can enjoy a special night at the W Hotel. 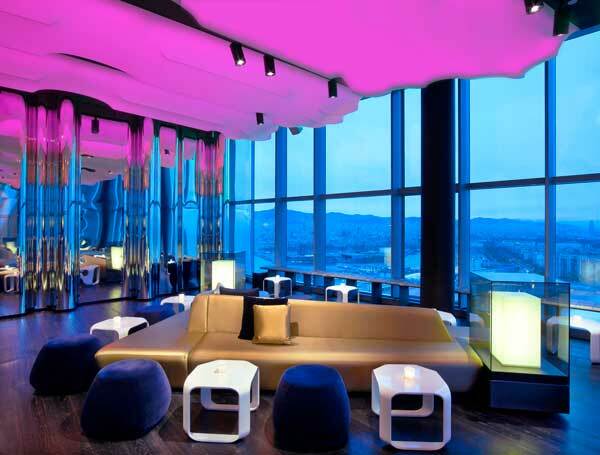 With a unique architectural design, the W Hotel has become one of Barcelona’s main nightlife highlights and “must visit” places. The hotel’s elegant Eclipse Skybar is located on the 26th floor and has breathtaking views of the coast. This exclusive bar offers a spectacular cocktail menu with classic favourites and innovative concoctions made with premium brand liquors and fresh ingredients, and the coolest house beats. 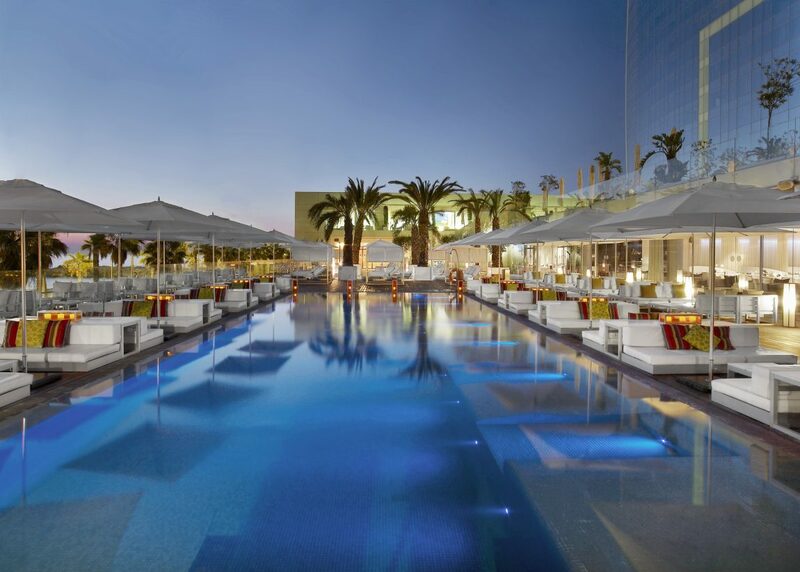 During the summer, the pool area of the W Hotel hosts the famous Wet Deck sessions, a Barcelona pool party which is attended by the most glamourous and chic nightlife crowd in town. An intrepid explorer who dives into details and zooms out to see the bigger picture, usually at the same time. She has been living in Barcelona for 10 years, and contributes regularly to the Apartment Barcelona blog. See more from Francesca on Google+. I think there is not a better place to enjoy the night life than Barcelone. You just name any things which makes makes the night beautiful, and it is there. Simply marvelous and enticing. Thanks Trevor, you’re right! 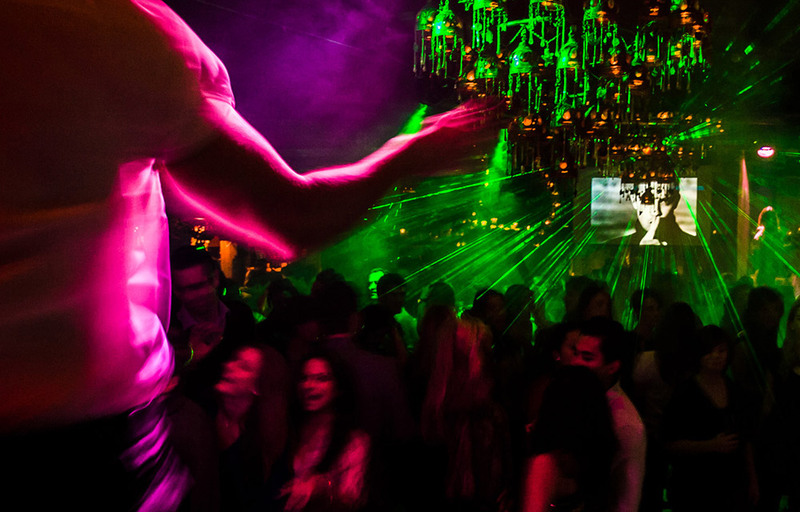 It is an amazing place to experience nightlife, especially in summer!